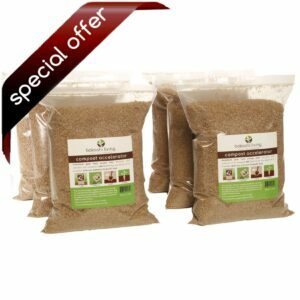 View cart “Premium bokashi bran (bulk 22 lb)” has been added to your cart. 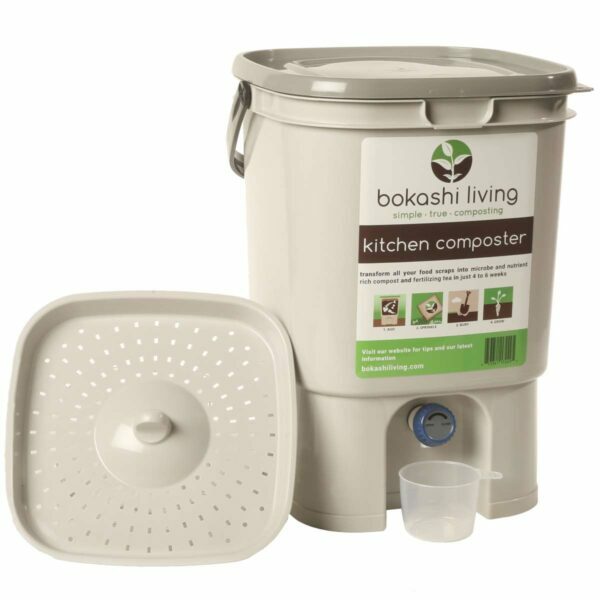 Need to purchase just a bokashi bin? 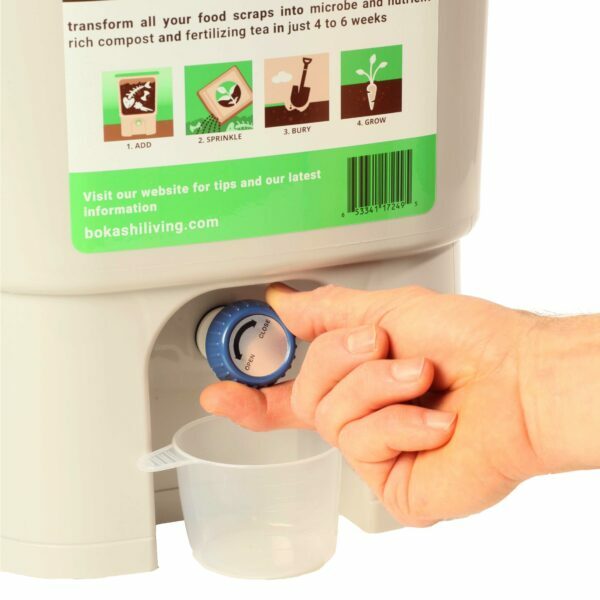 You’ve come to the right spot. Each kitchen composter will contain 20 litres of food scraps. 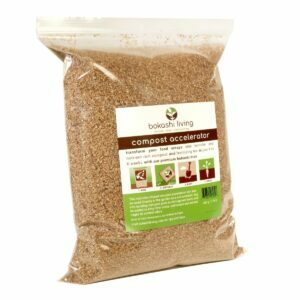 This is approximately 2 weeks of food scraps, based on an average family. 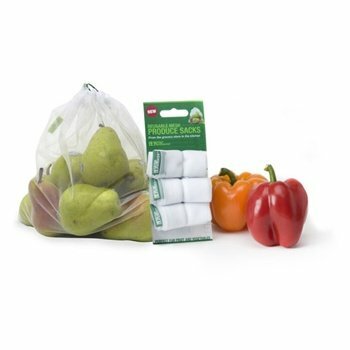 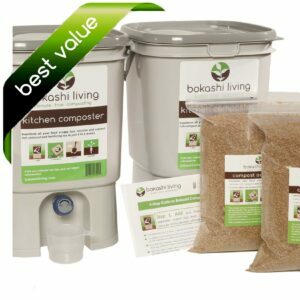 Note: for even better value, consider our 1-bin starter kit, which includes everything extra you need to get started with bokashi composting, for the same cost of shipping. 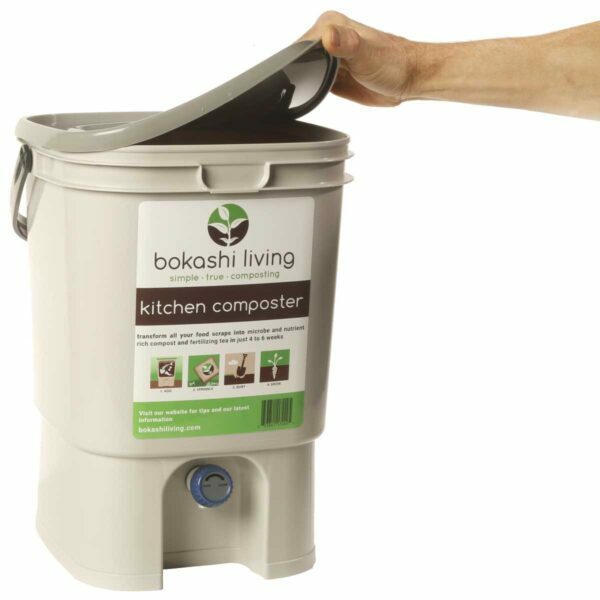 All our bokashi kitchen composters come with a complete 1 year warranty. 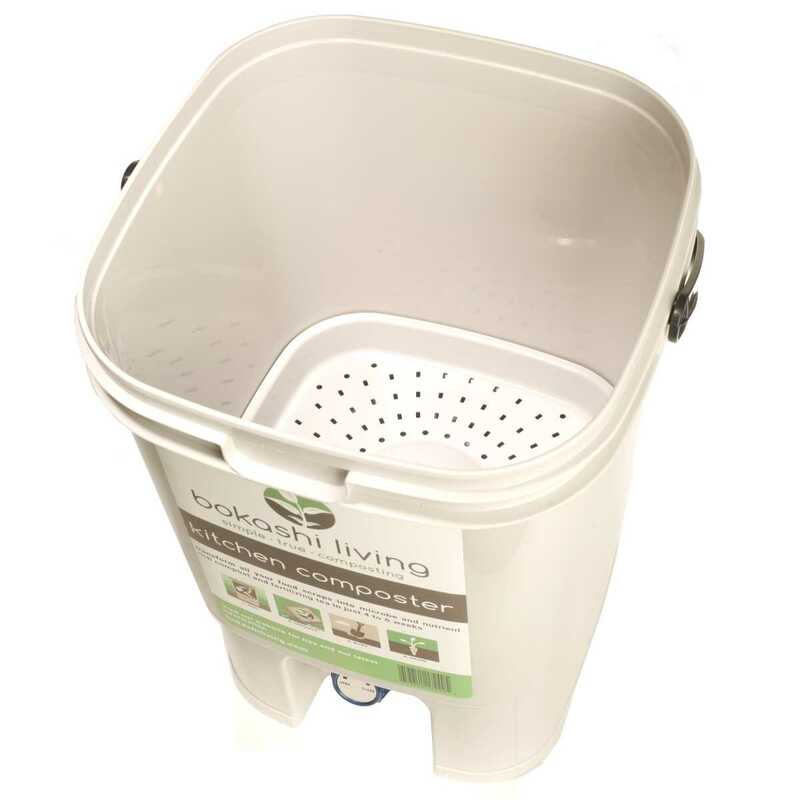 This includes lids, spigots and drain plates. 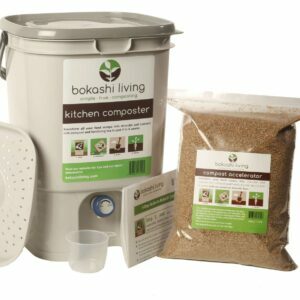 We also offer lifetime bokashi composting support to all our customers. 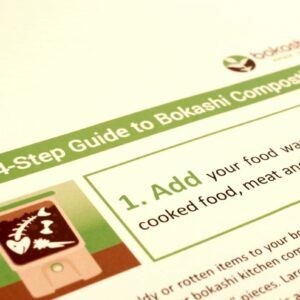 Simply call or email us and we will be more than happy to answer any bokashi composting questions you may have!